One of the biggest limitations that I had when trying to use/create Wardley Maps was my inability to programatically create the maps (ideally via and DSL or something like DOT language). What I really wanted was to be able to create Maps from an serverless environment, namely from an Lambda Function. 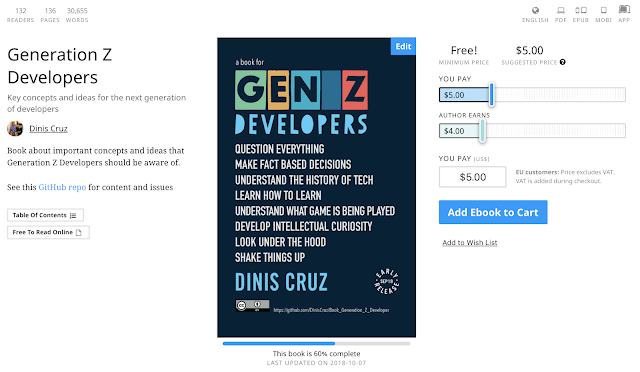 Hi, as part of the content I’m writing for my “Generation Z Developers” book (see https://z-developers.com), I have created the following 3 templates to help engaging Gen Zs (kids and young adults born after 1996) into how to start mapping their life. The 1st one is an empty map that can be used as a template. 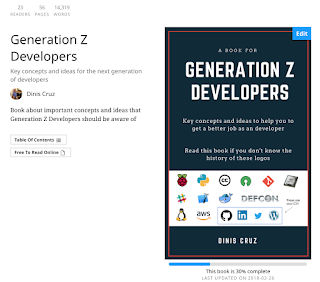 In order to help with the "Generation Z Developers" book I'm writing, I created the https://z-developers.com website to centralise all content and products I created based on the book. 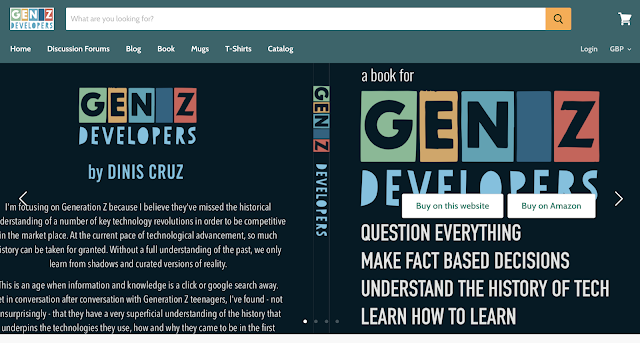 I'm including below the current introduction to the book which provides a good explanation of why I wrote it. Let me know what you think of it, and what other topics or ideas should be included. Part of the strategy agreed with the Board, is the recruitment of 5x new senior security positions to create the Group Security leadership team. You can still create new Working Sessions and the Owasp Summit Schedule is not final ! Hi Summit Participant, I had a couple emails about the Summit schedule which seem to imply that it was the final version, and that changes would be hard to make. Our objective with the schedule is maximise participant's time and their need to be part of specific Working Sessions. From a practical point of view, what this means is that we map out first the key players and organisers of a particular Working Session, and then make sure (as much as we can) that there are no conflicts. Hi Summit Participant. As you can see by the Summit Schedule, one of the nice problems that Participants will have is going to be: how to select which Working Sessions to attend. The Working Sessions organizers have the privilege of the Participant's time, which is a massive gift. Their responsibility is to create the most effective and productive environments for them. 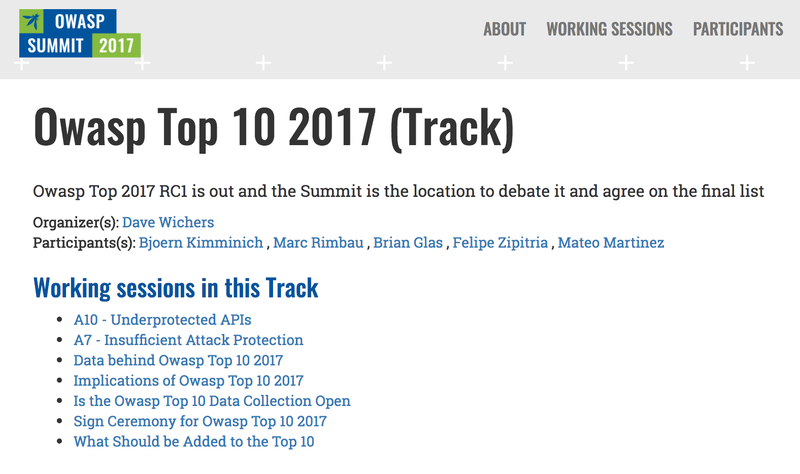 Hi, please see this presentation for a nice overview of where we are with 20 days to go to the Owasp Summit 2017 in London. We now have (draft) schedule and an amazing pool of talent participating onsite and remotely. Summit Participants, the success of the Summit depends on the amount of talent that we are able bring together. Although the current list of Participants is already quite impressive, I'm sure we can do better, and bring even more talent to the Summit. Summit Participants, now that we have a first pass at the Summit Schedule, we really need you to update your Participant page with the Working Sessions that you want to be involved in. What is also really useful, is that after you add those Working Sessions mappings, you will be able to see your personalized schedule on your to your Participant's page. As you probably have seen in the news, there has been a wide spread Ransomware attack which affected large number of companies worldwide, and is bound to cause more damage next week. The attack is called Ransomware (a play on Ransom + Software) and has the business model of encrypting all files the affected computer has access to, and then asking for a ransom (i.e. payment) to decrypt the files. 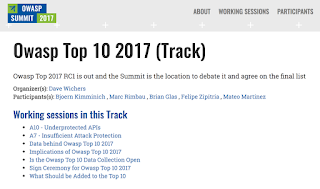 If you have any comments, or data, or ideas for the Owasp Top 10 2017, please actively participate on these Working Sessions. After a conversation with Ante Gulam about Security Playbooks, I had the real-world experience of needing them in multiple occasions this week. Since I was not able to find good resources online that I could easily use, I realised that the Summit presented a great opportunity to create a set of Security Playbooks in standard formats that could be used by the Owasp/Security community. 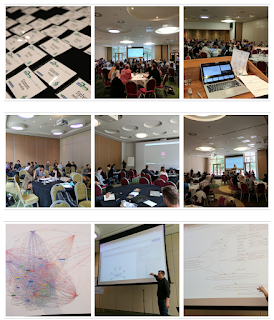 At the moment none of these Working Sessions have an organiser, so for the ones that you are interested in, please become one (or at least register as an onsite or remote participant). Remember that significant work and collaboration should occur before the Summit (i.e. between now and the 12th of June). It would be amazing if some of the Working Sessions listed above had its tasks completed before the Summit! For example, we can start working and collaborating asap on the Security Playbooks Diagrams. In 30 days (12 June) Owasp will host its 2017 Global Summit in London where hundreds of participants will join forces in Working Sessions focused on solving hard Application and Cyber Security problems. This is not a conference with unidirectional presentations. 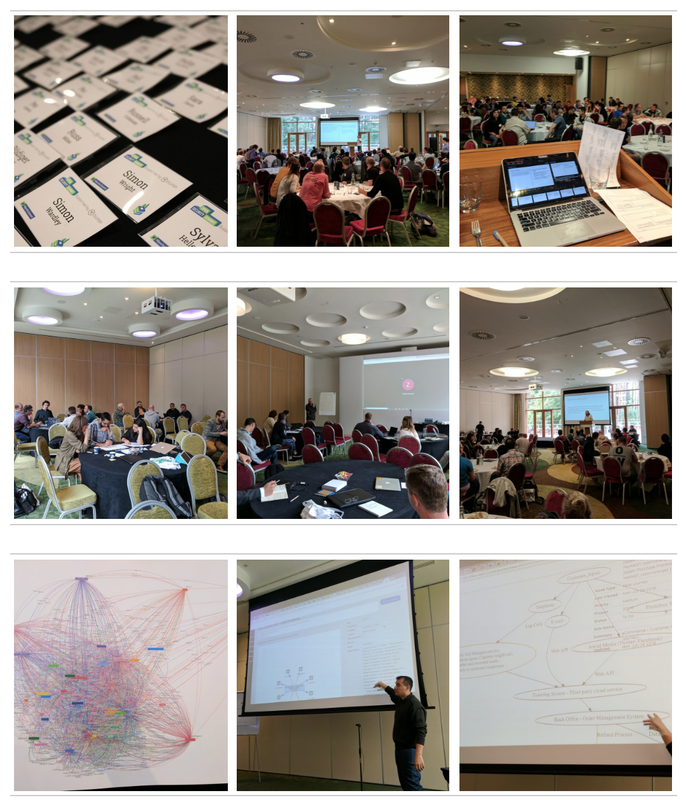 Using the same model as the past two OWASP Summits in Portugal, this 5-day event will be a high-energy experience, during which attendees get the chance to work and collaborate intensively. Every thoroughly prepared working session is geared towards a specific application security challenge and will be focused on actionable outcomes.